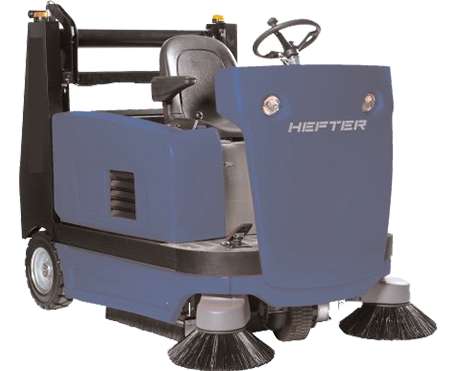 With the sweeping machines from HEFTER cleantech you achieve the maximum floor cleaning with a minimum of time. 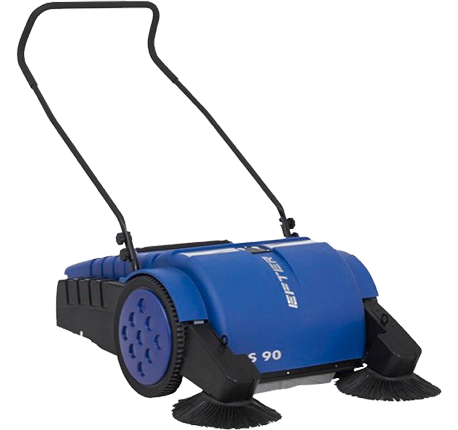 All our sweeping machines have in common that they are equipped with the unique tandem roller system. This means that each of these machines works with two rollers rotating against each other, which convey the debris in the throw-over principle into a collecting container that can be filled from above. Combined with an extremely powerful dust extraction, the results are particularly convincing – as the KS 95 proves. The range of our sweepers covers all needs. The smallest variant is the KS 80, which can be used as an entry-level model, for example in private areas or in small commercial enterprises. The KS 80, which of course is equipped with the tandem roller system, runs purely manually and is particularly smooth-running. 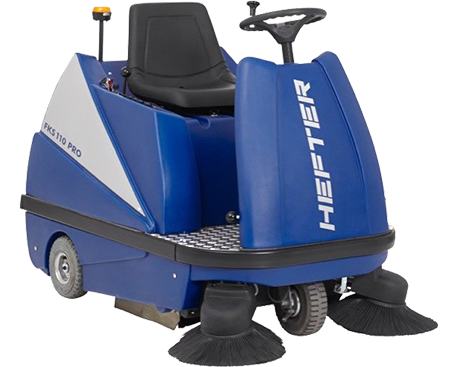 At the other end of the spectrum are our ride-on sweepers, which are suitable for everyday use in industrial environments and are powered by electricity. 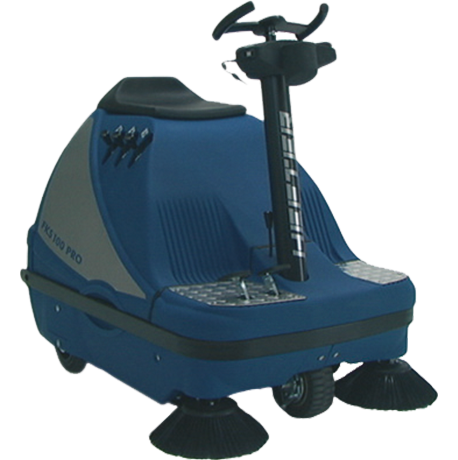 The two ride-on sweepers FKS 130 Pro and FKS 150 Pro can be equipped with different drive systems. The latter is available, for example, with a 2-cylinder diesel or gasoline engine as well as with a 24 V trough battery or with a propellant gas drive. In addition, both models can be equipped with work lights, weather protection roofs and cabins. 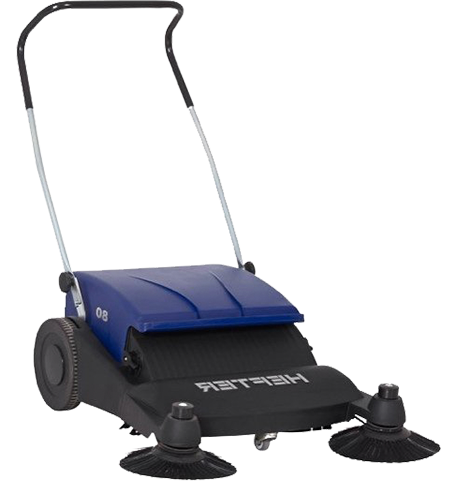 The FSK 130 Pro also has swiveling side brushes that automatically avoid obstacles. 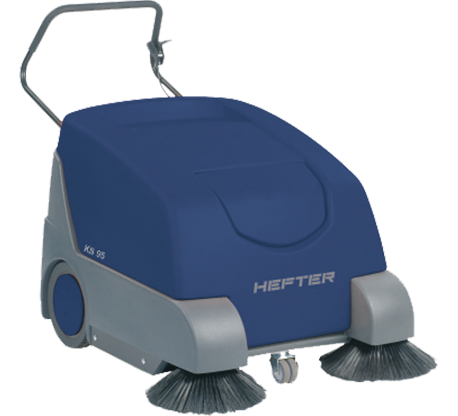 HEFTER cleantech offers you various maintenance agreements that help you keep your cleaning systems in top form. We offer our services at a fixed price so that you always have the maintenance budget in view. At the same time you reduce machine breakdowns and repair costs. You can choose between premium, standard and basic service packages or make an individual agreement with us – so that you can optimally use your sweeping machines for as long as possible.